While you may know Bob Lang as Popular Woodworking’s Executive Editor, Bob is also the woodworking community’s authority on using Google’s incredibly useful 3-D design software SketchUp. 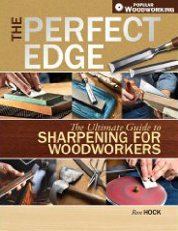 Among his many other excellent books on Arts and Crafts and Craftsman furniture he has written and taught extensively on SketchUp and how to take advantage of it for your woodworking projects. 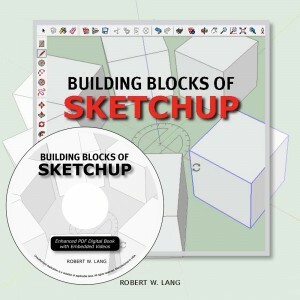 Extensively researched and written, this SketchUp book, as do all of them, takes full advantage of the pdf format with clickable links and embedded videos (50 of them!) that thoroughly illustrate each topic. Learning to use SketchUp can be daunting, but with clear, accessible writing, Bob takes you by the hand up the learning curve. Through well-presented step-by-step exercises he clearly illustrates the ins and outs of SketchUp, one of the great pieces of software available to 3-D designers. This is an amazing offering at $34.95 for download. And Bob has the disc version on sale for $39.95 with free shipping until December 1! Highly recommended! Previous Previous post: New Product Announcement from Linda!